The William Morris Society seeks volunteers/potential trustees with skills in business development, financial management and communications. 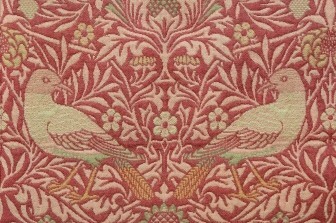 The William Morris Society is a fellowship dedicated to promoting the appreciation of Morris’ life, work and ideas and their contemporary relevance. The charity runs a small museum in Morris’ former home close to Hammersmith Bridge and organises a regular programme of talks, events, learning activities and publications including a prestigious literary journal and a topical magazine. Our trustees and volunteers cover a wide range of roles which are unpaid although travel costs to attend meetings are reimburseable. Working from home and outside normal business hours is encouraged for many of our roles; it is not necessary to live near us in Hammersmith although we encourage all volunteers to take an active part in our talks and events. If you are interested you can look at our volunteer charter here and find out more about what we do. Please apply by sending a short profile of your skills and experience and your area of interest in William Morris’ multi-faceted life and works to societymanager@williammorrissociety.org.uk .